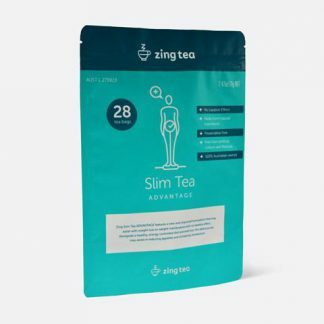 Zing Slim Tea ADVANTAGE features a new and improved formulation for long-term weight loss with no laxative effect. 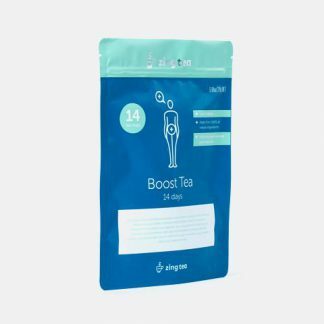 With correct use, this delicious tea may assist in reducing appetite and increasing metabolism. Alongside a healthy, energy controlled diet and exercise, Zing Slim Tea ADVANTAGE may assist with weight loss or weight maintenance. Infuse one tea bag in a cup of hot water and allow to steep 1-2 minutes. Drink one cup, twice daily alongside plenty of water. 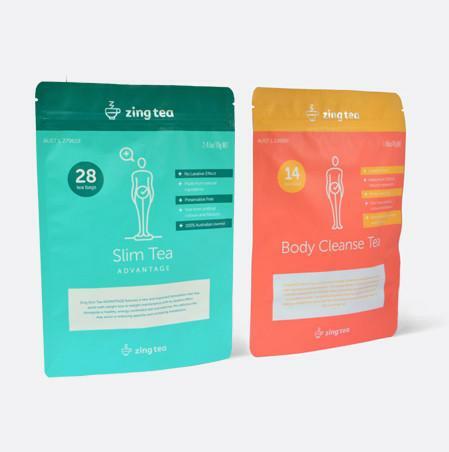 For best results, after completing 14 day Zing Slim Tea Advantage continue use for at least 28 days. Zing Body Cleanse Tea is a unique blend of cleansing herbs that stimulates the bowel and allows the detoxing of your digestive system. 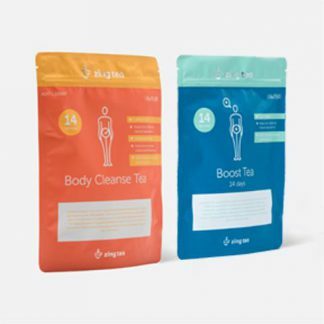 Combine with Zing Slim Tea advantage, Body Cleanse is a fitting accompaniment to help you achieve long-term health and weight loss goals. Prolonged use may cause serious bowel problems. If you are pregnant or breast feeding, seek the advice of a healthcare professional before taking this product. Use for children under 12 years old is not recommended. Do not use when abdominal pain, nausea or vomiting are present or if you develop diarrhoea. If symptoms persist, consult your healthcare practitioner.